Because Abyss & Apex does reviews I get paperbacks thrust at me by hopeful authors at conventions. I get books in my mailbox. I get ebooks in the A&A email, in my personal email… in various formats. I have just finished reading a novel that someone had given me at a con, years ago. It was a tragedy: not because the plot was tragic, but because it was—at best—a second draft that had not been edited. The book had never seen the touch of an interior book designer and the cover lacked polish. It had the possibility of greatness, but had been rushed to “print” without all the necessary processes that could have made it look and read as a professional product. This is as close to a review as this particular novel will get, and I will let it stand proxy for all the books that still give self-published works their bad reputation. It had been published, but it would have been better for the author if I had never read it. It left a bad taste in my mouth. It was painful to read because of grammatical errors, glaring formatting errors. The whole thing was double-spaced, and professionally formatted novels are not double spaced.There were continuity errors, chunks of exposition that could have been easily incorporated into the action, time-period inappropriate phrases, and occasional lapses into a different tense. It was forever frozen at the stage where my editing clients would hand me their books, and I would take them from mundane to marvelous. The story had a great plot, good characters, and arresting art on the cover. Had this novel been professionally edited and formatted rather than rushed to print, I might have had nice things to say about it as a reviewer. Supposedly it was a product of a small press publisher, but note: reviewers are aware that anyone submitting their books to Amazon or other places like Draft-2-Digital, Smashwords, etc. can say they’re a small press. It’s a common practice to pretend that you’ve been published by a mythical press, something easily checked for via search engine by seeing if the publisher has published anyone else but that particular author. In this case the book also had a mythical “publisher”—another strike against it. Authors of novels? Run your story through a critique group workshop and subject it to more than one set of eyes. Use trusted beta readers who know what they are doing. Read everything you can on the subject of writing; genre writers should study the Turkey City Lexicon in particular (the book I just finished, for example, repeatedly made the error of “using a rabbit and calling it a smeerp”). And please go through a legitimate small press if you can. Or hire an editor and an interior book designer, and a cover designer: this is the difference between self-published and Indie. Or learn how to do such things properly yourself: not an easy task but certainly doable and much less expensive. I ache for this particular author, this particular book. 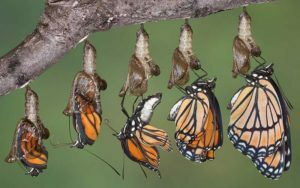 Like a butterfly that was pried out of its cocoon early, it is now frozen with its wings in an unfinished form and will never fly. And the author will never understand why their books are not selling. Please don’t be this author. There are no shortcuts on the road to success.